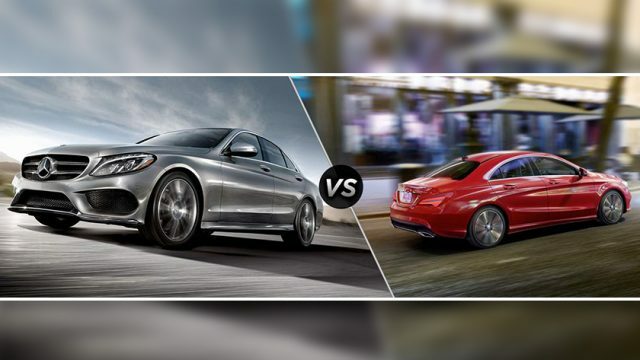 Mercedes C-Class or the CLA-Class – Which one should you go for? If you happen to be shopping for a Mercedes-Benz luxury car in Pakistan, then chances are you might have come across both the C-Class and the CLA-Class. Not only both cars share a striking resemblance with each other, but the price tag is also similar. So that is naturally a big confusion, and most people have a hard time understanding the primary differences between the C-Class and CLA-Class. 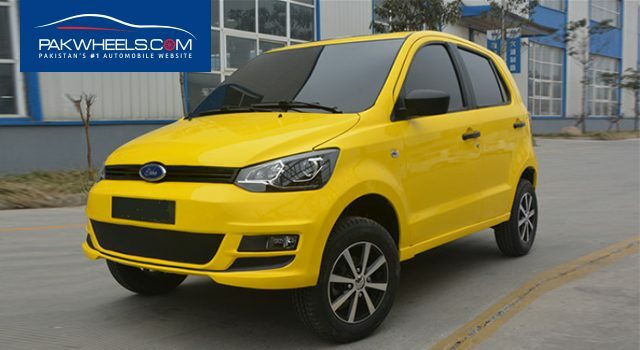 If you are confused about buying one of these luxury machines, then let us help you decide which car suits you best. The Mercedes-Benz C-Class is a line of compact executive cars which were introduced in 1993 as a replacement for the 190 (W201) range. The C-Class was the smallest model in the marque’s line-up until the W168 A-Class arrived in 1997. On the other hand, and unlike the C-Class, the CLA-Class is a coupe. 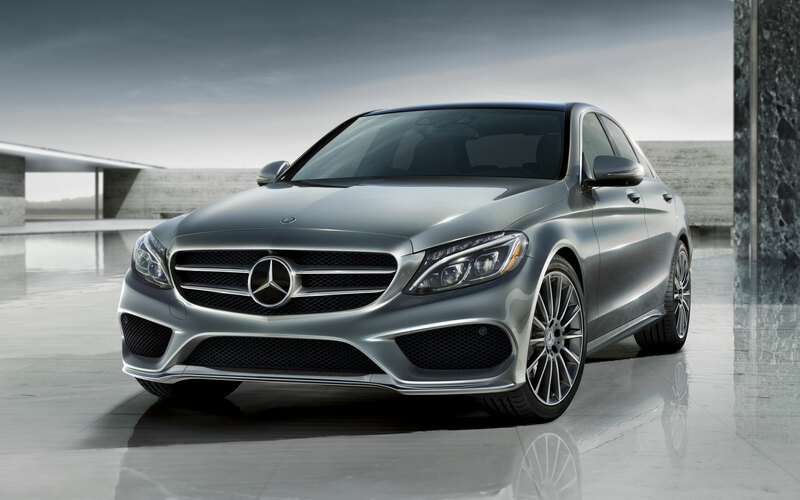 Its based on the platform of the Mercedes-Benz W176 A-Class and B-Class compact cars. It was unveiled on North American International Auto Show 2013. The C-Class beats the CLA in every dimension that also makes it more comfortable to carry five people at once. 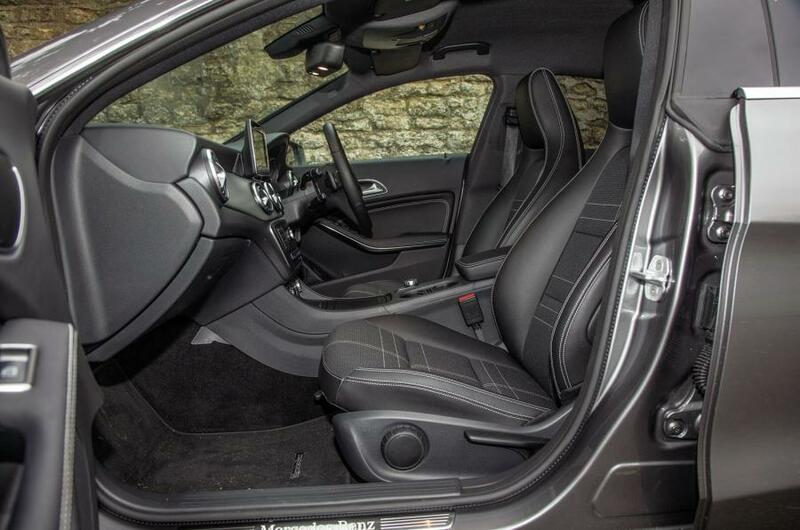 And CLA happens to be a 4-door coupe so this car has a sloping roof which makes the rear seats slightly uncomfortable for the taller occupants, but anyone over 5 and a half feet should get ready to ruin the roof liner of the car or in other words, their head will touch against the roof. Both vehicles have a signature Mercedes look, and both come with LED head and tail lights. 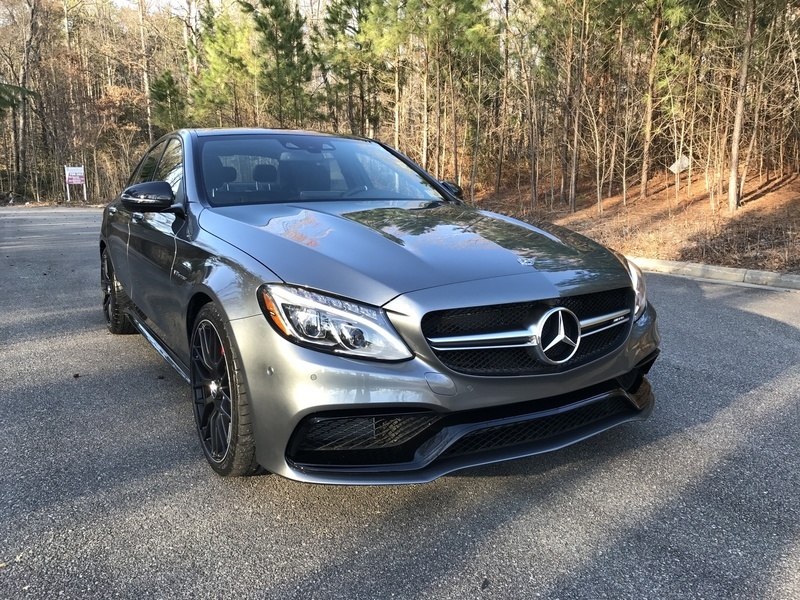 Being a coupe the CLA is much sleeker and aerodynamic, and I am certain most people will lean towards the CLA because of its design, but C-Class isn’t far behind. It’s just a matter of choice if you want “form or function.” CLA also happens to have less drag coefficient which makes it a little more fuel efficient however not by a considerable margin. 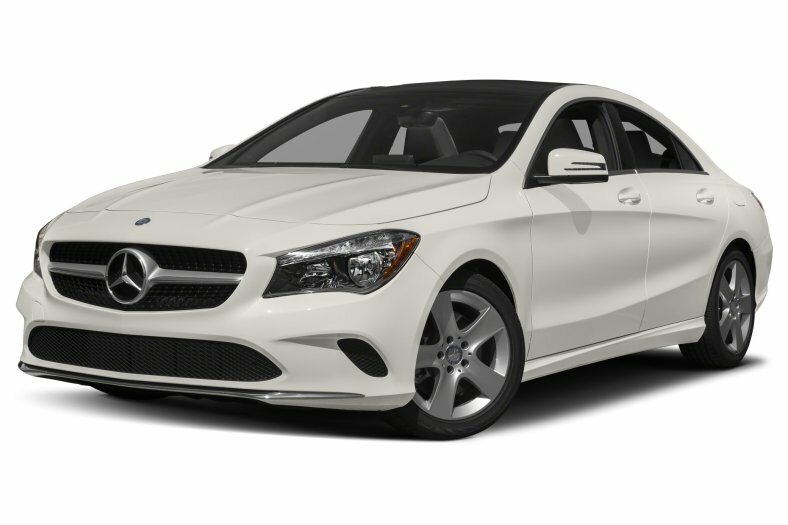 We’ll talk more on mileage later, but as per design, I think CLA is more eye-catching. Interiors have been one of the strongest points of any Mercedes since the beginning, and these cars are also no exception. These vehicles share a dangerously alike interior which makes it hard for most people to judge the difference. To make things very simple, C-Class just has a bigger glove box compartment and much nicer feeling materials inside but the rest of the design and layout are same. See the pictures below and see for yourself. Keep in mind most of these features are also present in the CLA-Class, but they are optional extras and don’t come standard aside from the CLA250 and above which usually doesn’t come to Pakistan. Simply to put in perspective a C180 with more features can cost equal to a CLA180 in Pakistan. 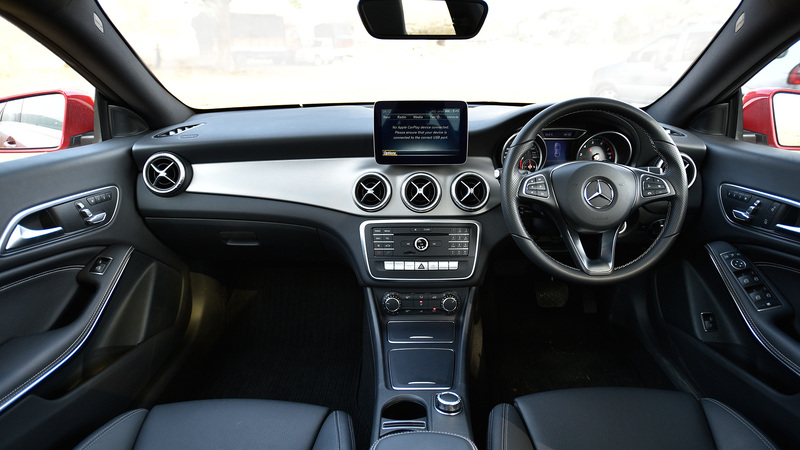 In the case of the CLA you pay more for the coupe design, but in terms of C-Class, you pay for the comfort and features. Engine specifications is another interesting part for both these cars. 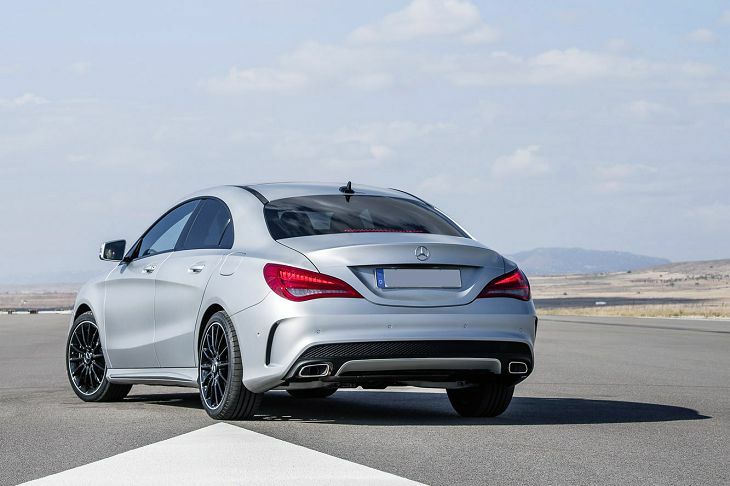 The base models which happens to be C180 and CLA180 are equipped with a 1600cc turbocharged engine. But it’s the C-Class which has more grunt under the bonnet and also performs better in a straight line as compared to the more nimble and aerodynamic CLA. The C180 engine makes 156HP and 250Nm along with a 7G TRONIC PLUS transmission that helps it to achieve knot to 100km/h in 8.5s. This is 0.8s faster than the CLA which makes 120HP and 200Nm. 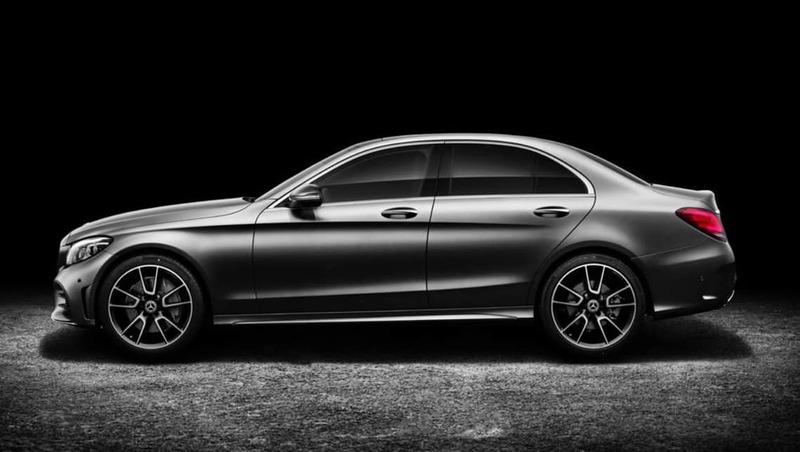 But it’s not all good news for C-Class and this performance comes at a cost which is exactly what you’re thinking. The fuel economy takes a slight hit so as mentioned earlier the more aerodynamic CLA manages to extract more miles out of its fuel tank. 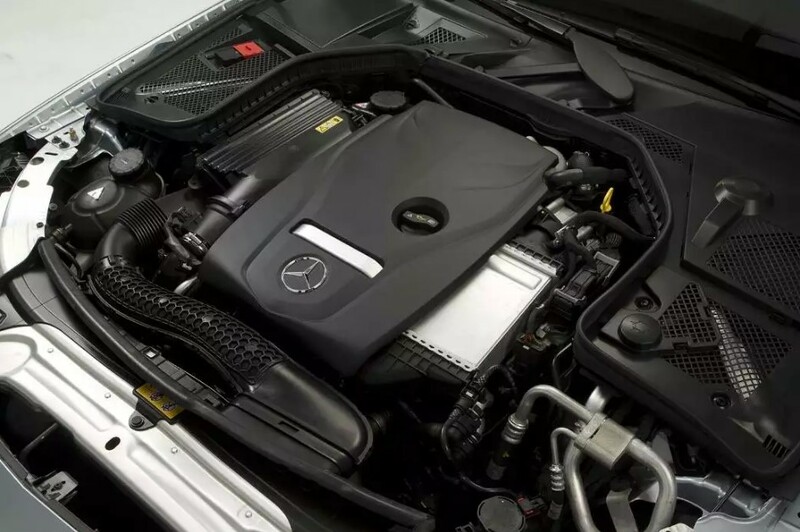 Also, keep in mind C-Class as a whole comes with more engine options which are powerful and bigger than that of the CLA-Class. 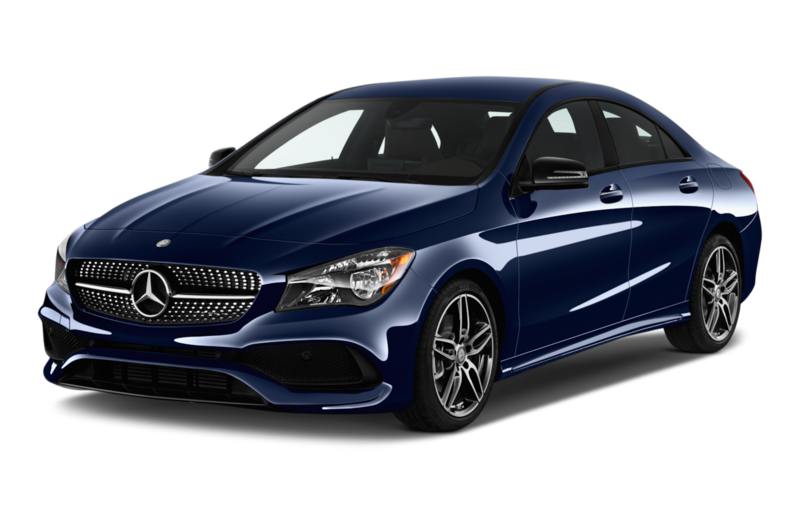 Internationally CLA is a cheaper car and starts somewhere around $33,000 while the C-Class being more upmarket and better vehicles starts at around $43,000 whereas CLA-Class is priced between $32,700 – $50,400 in the US. 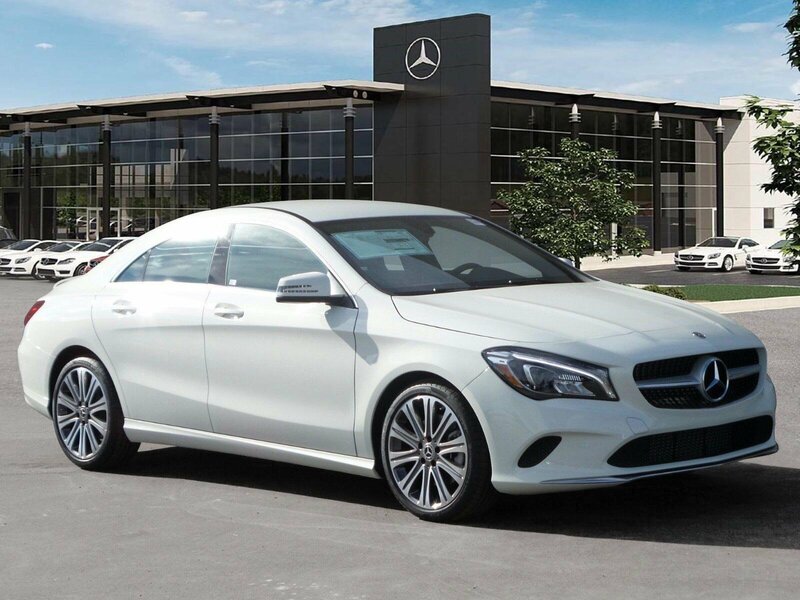 In Pakistan, 2018 C-Class Mercedes is priced between PKR 75 to 91 lacs depending upon the options and used 2014 CLA is priced around 6 million PKR. In the case of Audi, a brand new A3 comes for a price of used CLA in Pakistan despite sharing nearly the same starting price internationally. 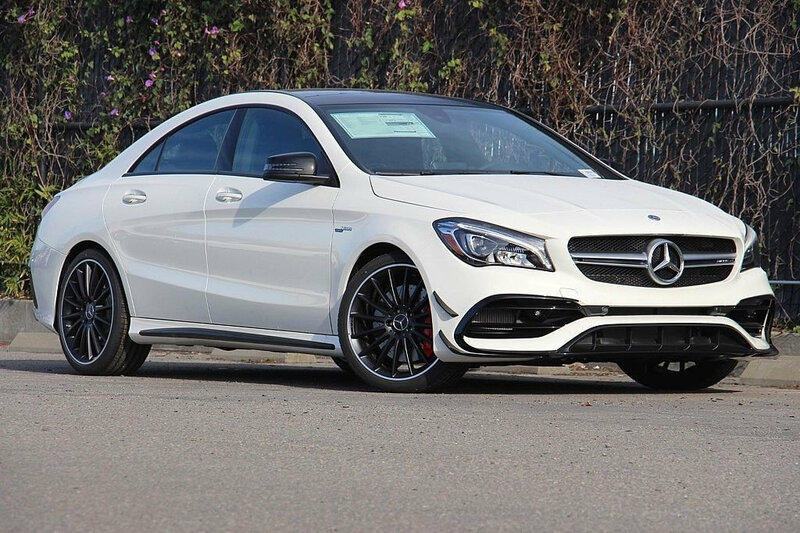 Critics all around the world haven’t loved the CLA so much. 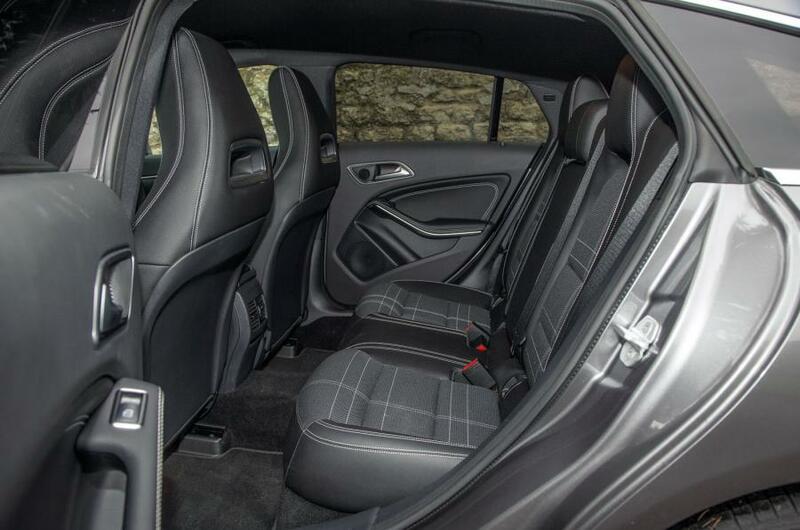 The major complaint regarding this entry-level luxury coupe was the overall quality, cramped rear seats and ride comfort. Though the West has their own level of standards to judge a car CLA would have been a perfectly fine car for Pakistan if it was around the Audi A3 territory but the big engine makes it price alarmingly near to the C-Class which is more upmarket, comfortable, premium and a powerful vehicle. So only advantage the CLA-Class has its coupe design. Younger buyers who want a great looking coupe with nimble handling but don’t care much about ride comfort, features and hate Audi A5 then this car is the only option they have. 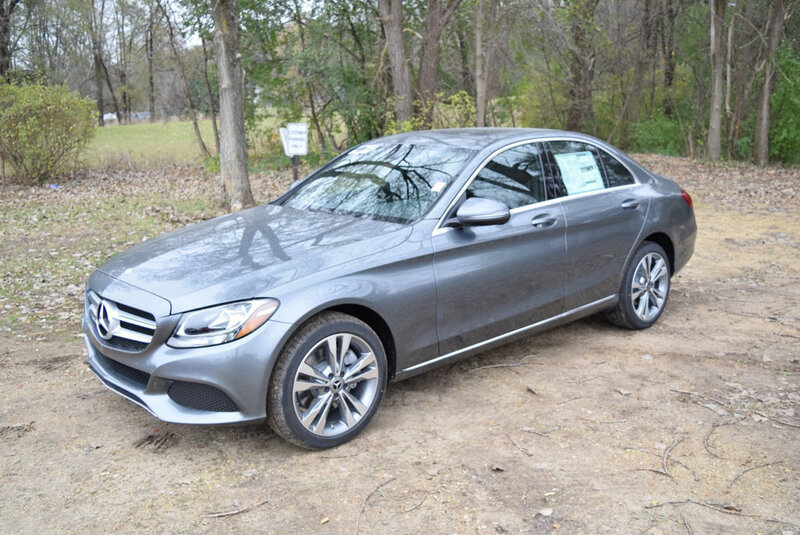 But it’s the C-Class which is a better overall package since it can carry people more easily is faster and has more features to play with.